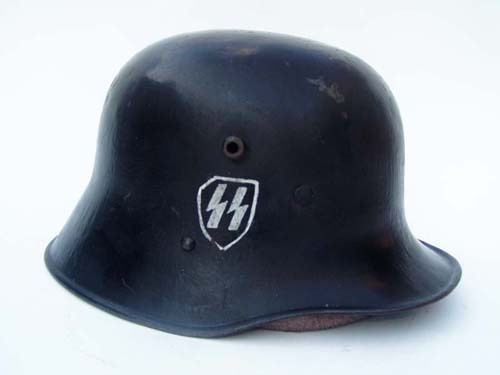 This helmet has been restored to appear as if it might have been used as a parade or guard helmet by the SS-LAH in 1934. 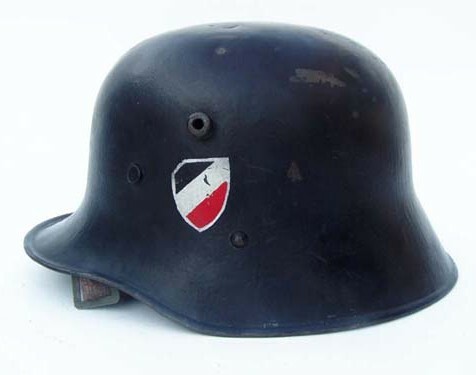 Due to supply issued the SS procured many Austrian helmet such as this one from both Austrian and Czechoslovakia. The insignia have been hand rendered. Decals did not come into use until after 1935.